SEO companies throw a lot of terms at you. SEO, SEM, PPC, Adwords, Display Network, CPC, CTR. My goodness, that can be a lot to take in. MLT Group is different. We write content for business owners and employees at companies who need marketing help. We don’t want to bog you down in jargon. Instead, we want to show you which strategies can make the most sense for your business. In today’s post, we’re going to break down some of these terms – mainly SEO vs SEM – so you have the type of understand you need to make a smart decision. SEO and SEM and marketing channels. Search engine optimization (SEO) helps your business appear on organic search results. 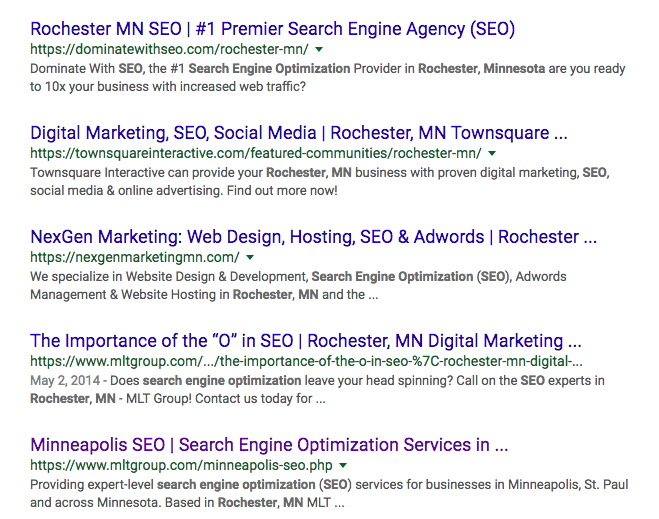 Organic search results are results that you don’t pay for (directly at least). We’ll describe the techniques in a bit more depth soon, but SEO is the process of making changes to your website that make it more appealing to search engines. Also, it involves techniques used outside of your website to achieve the same goal. 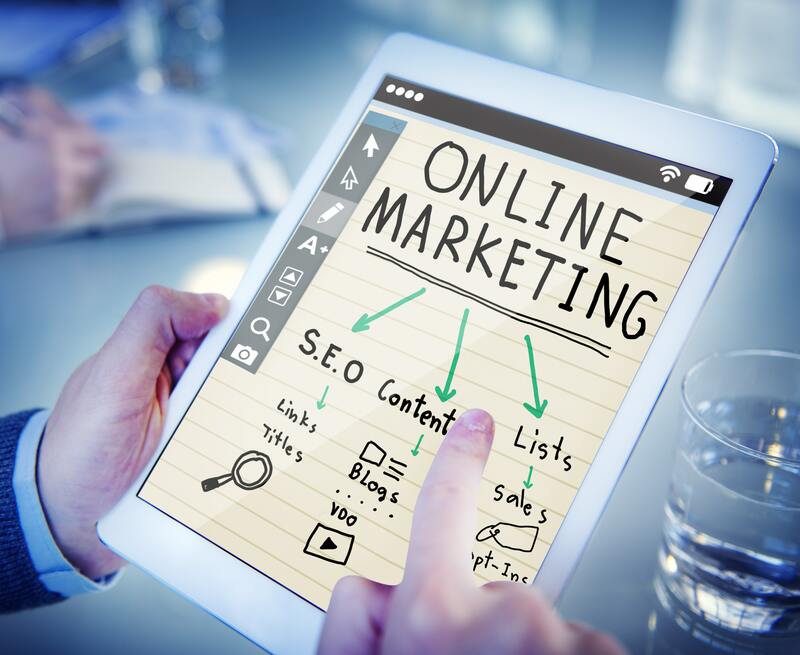 Search engine marketing (SEM) includes SEO, but it encompasses other forms of marketing, most of which involve paying directly for website traffic. There are many guides on SEM Vs SEO on the internet. Why did we decide to write one? We checked the results for the topic and noticed one key element missing. Most companies don’t talk about the psychology of using these channels. We understand business owners are human beings who want to see results. Not only should you know the difference between SEO and SEM, but you should also understand the type of mindset you’re going to need to have when using each channel. One favors patience. The other favors instant (but also more costly) rewards. Both work, but each has a different level of value depending on the industry and business owner. Let’s dive into each type. By the end, you’ll know which route is best for you. How can you create a website Google loves? You use the following techniques. On site SEO involves doing things on your website to help the search engine understand what it is about. Once you understand how people search for your type of business online, you can use that information to optimize your website. Content – When you use the words people type into Google for your product or service — keywords — it lets the search engine know your page is about that topic. These are just the basics, but they’re good to know for understanding the on-site process. Technical SEO helps your site perform better. See, the search engines don’t just want to see that your site has great information. They want to know you provide a good user experience. Why? Because search engines care most about providing great results for real human beings. If your site loads slowly, has sloppy code, broken links, isn’t secure, and is missing important data, search engines are much less likely to rank your website. Again, there are many more technical SEO issues we can cover, but these are the core ones to know. Once your site is optimized and performing well, you can use off-site techniques to improve your chances of ranking even more. You need to use off site SEO techniques to increase your site’s authority. Search engines use links to your business’s website as a ‘vote’ for it’s quality. This makes sense. If many other websites link to yours you must have useful information on it. They also use mentions of your business that aren’t linked. These are called citations. Combined, getting both will help your website become more authoritative. The more authoritative your website and its individual pages, the higher — on average — you will rank on search engines. You could write an entire book on link-building. There are an endless amount of tactics you can use to get links to your website. For your purposes, here’s what it’s important to know. You want to get the right links. What are the right links? The right links are links from other authoritative websites that are related to your business. Example, getting a link from a less authoritative but related website can and often will count more than getting a link from a more authoritative yet less related one. We help our clients get back links by reaching out to related websites and telling them why our client’s website content makes sense to link to. That’s a simple way to explain a sometimes complex process we use. A citation is anytime someone mentions your business online. Someone posts a Facebook status about your company? It’s a citation. You become a member of your local chamber of commerce. You get it. We help our clients build citations by finding relevant directories in their niche and submitting their sites for consideration. The last two words are important. When it comes to link building and citations, we reach out to other websites to consider linking to or citing your site. Getting the links or citations isn’t guaranteed. This is important because it’s the only way search engines can serve up good and honest results. If everyone was guaranteed these links and citations they would have no value. The ins and outs of SEO aren’t as important as the mindset you need to have a successful campaign. If someone promises you page one rankings in a short amount of time, run for the hills. You can start to see good results in 4 to 6 months, but you have to be able to handle the wait. If you’re not the type of person who can delay their gratification, SEO might not be the right strategy for you. If, however, you’re a forward thinking business owner who understands quality results take time, SEO could be a good fit for you. There’s a reason why it pays to be patient and rank your website using SEO. Organic search results – ones you don’t pay directly for – get the majority of clicks through to websites. Once you start to rank your website for a number of different key phrases, you’ll notice your traffic can increase in leaps and bounds. As time goes on and your site increases its authority, it reaps even more rewards. The “rich get richer” phenomenon is present in SEO. Imagine you get your website page to rank #1 for one keyword. It can start to rank for a bunch of other keywords too. This means you can have traffic coming to your site for a variety of different phrases based off one one page. That’s the power of a successful SEO campaign run over the long term. Now that you have an understanding of SEO, let’s talk about SEM. Search engine marketing includes SEO, but uses other techniques, mainly paid advertising. Google and other search engines have platforms you can use to pay directly for advertising in a few different ways. Here’s a breakdown of each relevant platform. Google Adwords is a platform you can use to pay for listings on search engines. We go into a bit more depth about PPC advertising in this guide. On top of Adwords, there are some other search engine marketing platforms you can use to spread your reach. The big difference between normal pay per click ads and display network ads is that display network ads appear not on search engine results pages, but other websites. Websites can participate in displaying these ads on their site through Google Adsense. Other site owners participate in increasing the ads themselves through the display network. Display network ads tend to have pretty low click-throughs (do you click on them?) but they can be useful if you’re creative with them and use them to share valuable information as opposed to trying to sell with them. Here’s a great guide on doing just that. Now, why would you want to create ads on the display network for any other reason but to sell your product or service? You can use them to build awareness about your business so people will know, like, and trust it. This can lead to them becoming customers down the road. This is important to remember – marketing isn’t just about selling right away. Think of display network ads like digital billboards. We could go in-depth about all the various forms of SEM but we aren’t going to. The purpose here is to help you understand why and how these marketing channels work so you can choose one or both. If you want to get results now and you don’t like waiting, SEM might be your best bet. Keep in mind, however, these instant results come with a cost. The more competitive your industry, the more you will have to spend. The best part of SEM is the fact that you can pretty much verify the ROI you are receiving from the money you spend. For pragmatic business owners, this could be the right route. If your ads are profitable and have a great margin, you can spend more money without much worry because you can rely on your money making money for you. Of course, this is no easy task or exact science either. SEM is anything but a “set it and forget it” strategy, which is why working with an expert often makes sense. Both channels work. Both channels make sense. It’s up to you to decide which one is best for you. Our recommendation? Use SEM to kick off your campaign and SEO over the long haul to get consistent results.